Mayonnaise has a reputation for spoiling quickly. But most people have no problem keeping a jar of store-bought mayonnaise for months. I bet they wouldn’t try that with an open can of tuna or a hard-boiled egg. The acid of the lemon juice or vinegar keeps homemade mayonnaise for a long time. I store mine in a plastic container in the refrigerator, usually for several weeks. If the oil has separated from the egg but otherwise looks and smells normal, the mayonnaise is likely okay. Just mix it up with a spoon and use it. If you are not sure whether the mayonnaise is okay, leave it for another day or two. Then you will know by the smell. And spoiled mayonnaise eventually develops visible mold or mildew. Always examine fresh eggs and mayonnaise for unusual smell or color. Crack the raw egg into the food processor and add the lemon juice or vinegar. Process to blend, about 10 seconds. While the food processor is on, pour the oil slowly through the food tube in a thin stream. Process for a total of one minute. Use a rubber spatula to transfer the mayonnaise to a container. Keep in the refrigerator. Don’t expect the same thick texture as storebought. Homemade mayonnaise is smooth and more liquidy, but it shouldn’t be runny (and if it is, it will still taste fine). 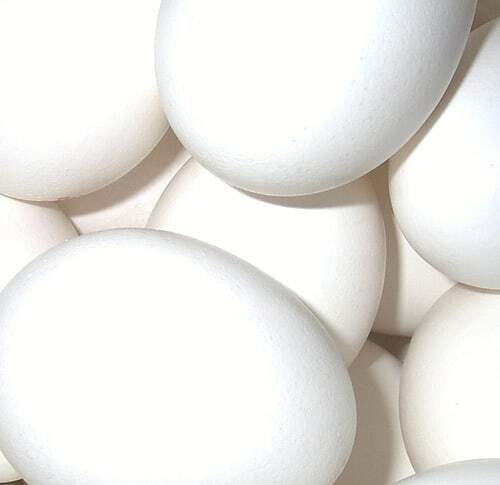 Salmonella is a risk, but if you buy fresh eggs from a reliable source and store them carefully, they should be safe to eat raw. Pregnant women, babies, and the elderly are most at risk for complications of salmonella. Store-bought mayonnaise is expensive and contains unhealthy oils, preservatives, and chemicals to keep the mayonnaise thick. If you don’t have a food processor, use a blender or mixer instead. You can even do it by hand with a wire whisk. For variety, add chopped or dried herbs, mustard powder or other spices, different flavors of oil and vinegar, or garlic. We love homemade mayo! Thanks for posting a great, simple approach! Hello, Hanna. I also make my own mayonnaise. Here’s a tip. If your mayonnaise is not thick enough, it’s because you’re not adding enough oil. I know that sounds counterintuitive, but it’s true. I don’t even measure the oil, I just drizzle it straight from the bottle until the mayonnaise is as thick as I want it to be. Try it. Thanks, Cathy! I’ll try it. When we lived in Israel we used to make our own mayonnaise. I loved it. I don’t even remember if we could get mayo ready-made then (that was 1977-1981). It’s probably a lot less expensive to make your own. Maybe we should try it again. . .